Seeing it for the first time is something that you’ll never forget. The bold colors and contours of this otherworldly landscape make a deep and immediate impact. Its raw, natural beauty stirs the spirit and speaks to the soul, transfixing and transforming all who visit here. Since its founding in 1951, Garden of the Gods Resort and Club has existed as a set of inspired ideas, an approach to life that celebrates recreation, relaxation and refinement amid a setting of unrivaled natural splendor. It is an energizing escape from the ordinary, a place to reconnect with the things that matter most, to restore, renew and lose yourself to the charms of an experience unlike any other. Garden of the Gods Resort and Club offers a unique opportunity and one-of-a-kind setting to inspire a selection of distinctive offerings and amenities perfectly aligned with our guests’ desires and expectations. 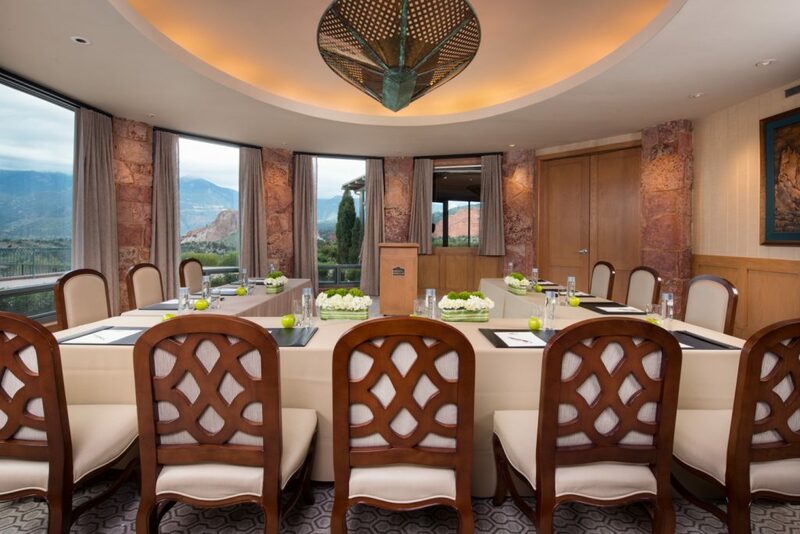 Drawing inspiration from the magnificent views Garden of the Gods Resort and Club provides the perfect backdrop for meetings and events from 10 to 250. 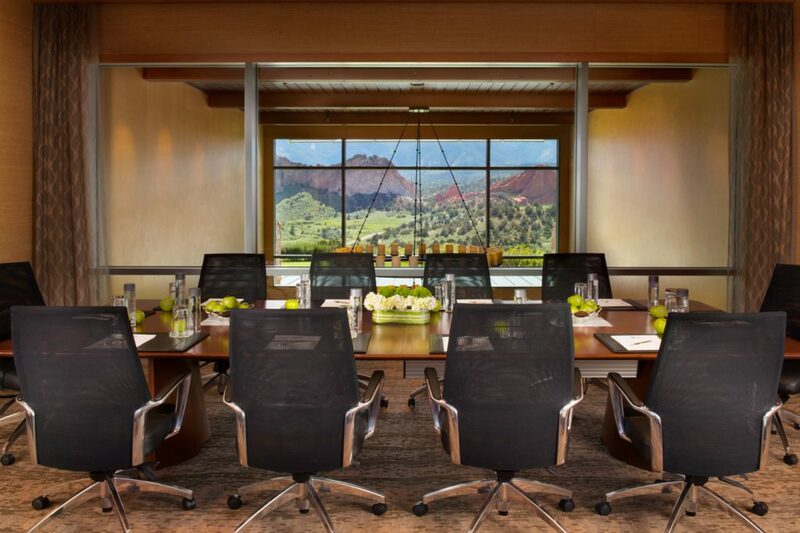 Our selection of unique Colorado Springs meeting spaces, feature large windows for natural light. Spacious Fitness Center featuring a spin studio, pilates studio, movement studio, cardio room and weight room. Full-service spa & salon with steam rooms, experience showers, salt sauna and halo therapy. A legendary private club for more than 60 years, Garden of the Gods Club and Resort has developed a reputation as a place where natural beauty, relaxed elegance, and standard of excellence are without comparison. 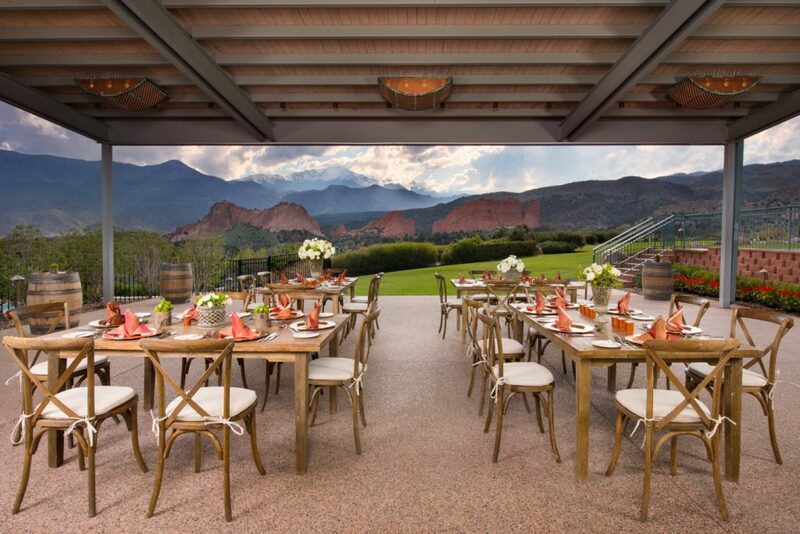 With more than 12,000 square feet of space for weddings, meetings, or company retreats, Garden of the Gods Resort and Club serves as an exclusive Colorado retreat for weddings, social events, and executive meetings. 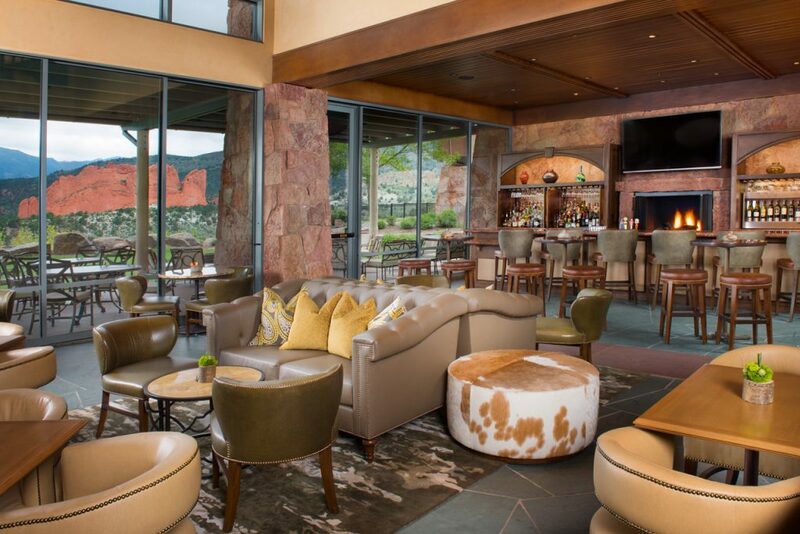 With a variety of intimate indoor and outdoor private venues surrounded by the stunning natural beauty, the Club is an ideal place to host a Colorado Springs event. The impeccable service and first-class cuisine makes entertaining at Garden of the Gods Resort and Club a memorable experience. Capacity Over 12,000 sq. ft.
Largest Banquet 3,480 sq. ft.
Largest Reception 3,480 sq. 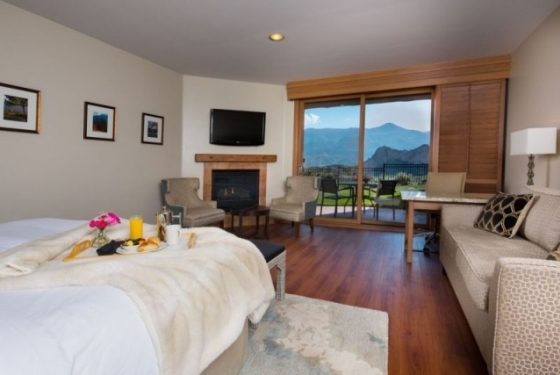 ft.
Each of our 56 resort guest rooms offer a fireplace, walk out patio or balcony, as well stunning views of snow-capped Pikes Peak and the natural red rock formations of the Garden of the Gods National Landmark. Positioned in a secluded refuge within Garden of the Gods Resort and Club, our residential-style Cottages and Casitas blend exclusivity, with the world-class amenities for which Garden of the Gods Resort and Club is known. These flexible 1-3 bedroom Cottages and Casitas offer Impeccably curated furnishings and appointments. The Cottages include a kitchenette and the Casitas come complete with a full kitchen, both room types include a dining room, spacious living area with fireplace, and 5-piece ensuite bath in each bedroom. Private patios and cozy outdoor fireplaces add the perfect evening ambiance to your tranquil home within a resort. 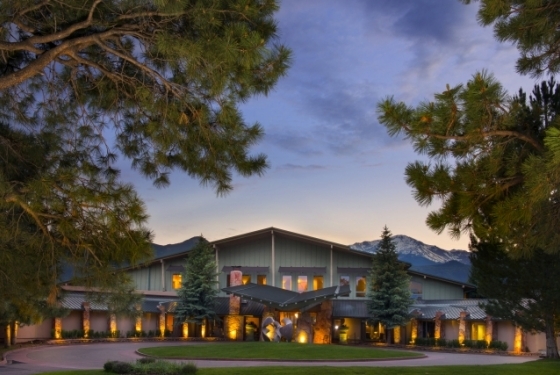 Meeting attendees enjoy privileged access to our abundant Club amenities served with the best views in the Springs. Garden of the Gods Resort and Club guests can spend their days being as active or as pampered as they desire. Guests can energize their spirits and sharpen their senses our state-of-the-art full-service therapeutic spa, salon and wellness center. 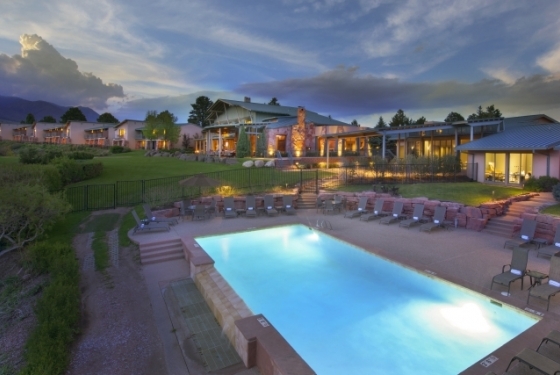 Strata Integrated Wellness Spa at Garden of the Gods Resort and Club, provides exceptional spa, salon, and wellness services that flow from our commitment to nurture each individual’s personal renewal. The Spa features 9 treatment rooms designed for a tranquil and therapeutic experience, a highly-coveted Austrian weightless environmental bed for body treatments, and a salt inhalation room with infrared deep heat therapy for stress management and detoxification. The list of amenities, services and luxury products offered by the Spa and Salon are unparalleled to anything existing in Colorado Springs today. Clients and guests can also experience a journey to wellness at Strata Integrated Wellness Spa. With a unique approach to integrated healthcare, Strata Integrated Wellness Spa combines the expertise of clinicians trained in both traditional and complementary medicine, establishing a new model in healthcare delivery. Working together, our board-certified physicians and executive health coaching team draw upon decades of experience in the field of Integrative Medicine to provide the most advanced healthcare services. Strata Integrated Wellness Spa is a restorative resource with a focus on transforming lives and empowering clients to perform at their fullest potential. At Strata Integrated Wellness Spa the International Health and Wellness Center, the possibilities of achieving optimal health are as limitless as the surrounding landscape. Say your vows in a one of a kind setting with breathtaking views surrounded by those you love and nature’s beauty at Garden of the Gods Resort and Club. It’s in our nature to bring your dreams to life in an effortless and detailed process with our team of thoughtful and creative wedding professionals. Garden of the Gods Resort and Club features several options for your ceremony and reception. Our indoor/outdoor venues provide the flexibility for custom, elevated and personal experiences. At Garden of the Gods Resort and Club, your wedding is as unique as your love story. Whether you are planning an intimate ceremony and reception or a celebration with more than 200 of your family and friends, Garden of the Gods Resort and Club is dedicated to helping you design a wedding that is unique to your style. Our menus are orchestrated around the use of fresh, local ingredients. Experts in a diversity of culinary traditions, our team understands the unique needs and attention required to create a memorable menu for your guests. Wedding packages begin at $145 per person. Your story begins here – call today, 719.725.6600.